If you're looking for a masterpiece or 12, go no further than the PBS KIDS GO! Writers Contest, which just announced its national winners. These dozen stories, written and illustrated by kids in grades K-3, are online and ready for you to read aloud and share with your kids. Don't miss gems like "Desk: A Totally True Tale of Terror" or "The Adventures of Sniffy Pete and Drono." Plus, your kids can make their own story mash-ups featuring the places, characters, objects and words taken from other Writers Contest entries. The possibilities are endless! Despite the ads that might tell us otherwise, summer isn't over for most of us. In fact for the Washington, DC area, August is generally the big month for travel. It's likely the trickle effect of Congress being out of session which leads the lobbyists to leave, the consultants to the lobbyists to take a break, and so on. Also after a month home with the kids, travel looks like a saner option than trying to find one more thing to do at home. Almost too easy, as the picture book section of your library will have tons of books about the beach and the ocean. Some will have some educational elements blended in, like Over in the Ocean. 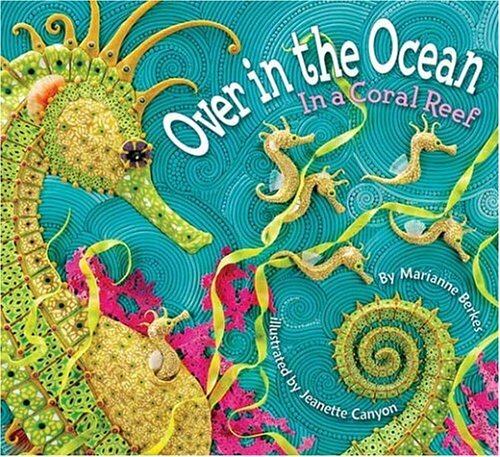 Check out the nonfiction section for books that talk more about what can be found on the shore - giving you a little scavenger hunt. There are tons of great books about life under the sea, including titles about specific iconic animals like dolphins (try Face to Face with Dolphins). Though I'd steer away from shark books, unless you want to spend your entire vacation explaining again and again how sharks are truly unlikely to swim in ankle-deep water. Or maybe the woods, or wherever you might go to encounter Nature in all its glory. If you're camping, bring along books for identifying trees, rocks, or wildlife tracks. You can also identify the many things that making camping exciting with S is for S'mores: A Camping Alphabet. 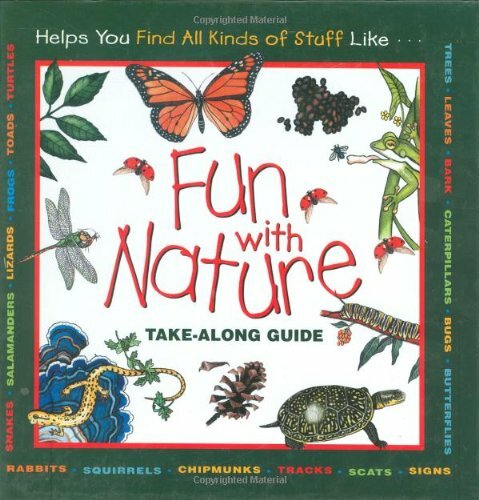 If you prefer your outdoors in smaller doses and will not be tenting it, make the hikes or even walks more interesting with Fun with Nature by Mel Boring which provides a guide to lots of different bugs, reptiles, animals, and trees. Many big cities will have at least one book about them, but they aren't always the most engaging of titles. Some are certainly better than others, and I'd give the prize to New York City for having the best and most books that will enhance your trip. 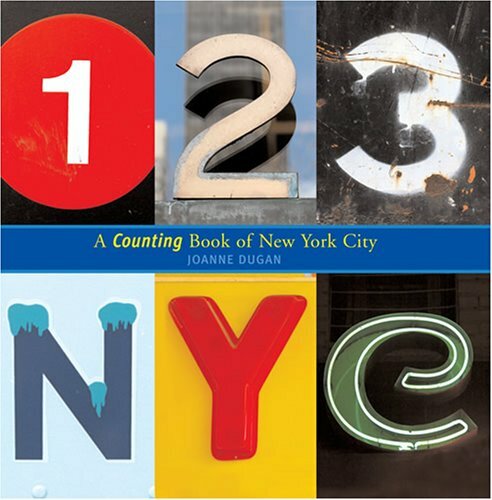 ABC NYC: A Book About Seeing New York City and 123 NYC: A Counting Book of New York City, by Joanne Dugan pair photographs of letters/numbers in their city environment with pictures of urban representations of those letters/numbers. For city kids, it makes more sense to see H for "hot dog" instead of "horse," and for visitors, it provides a checklist of things to notice about life in the city. Another great and more detailed book is New York, New York! The Big Apple from A to Z which focuses on the attractions of NYC with added facts and point of interest. It's like a kids version of those travel guides I love so much. With the sale pages shouting about 1c pencils and snappy new backpacks, it is hard to keep that summer frame of mind going. I'm not ready to give up the fun and games just yet, so today we're just going to play! On Friday nights, our community pool stays open until 9pm. We parents love it because it is a nice time to let the kids run off and play while we chat and enjoy the beverage of our choice. We have also discovered it is the perfect time and place for games. I am usually behind the times, so I know Bananagrams has been around the world and back a couple times already. I had seen it, but never played it. Now I'm addicted. Playing Bananagrams is great fun and, as it turns out, is a great modeling tool, too. I can't tell you how many times our dripping-wet kids came over to watch us play and "help" us with words. Between rounds, we talk about other stuff, like the games we play with our kids. Not surprisingly, our favorites are the ones that have some type of educational value and can have lots of players. We talked about our own childhood favorites like Scrabble, Boggle, Pictionary, and Yahtzee, as well as the fun of these new games for our kids. Scrabble SLAM, a card game, is a natural for kids of mixed ages. Essentially, you rebuild a four-letter word like sand by playing a cards in your hand ... changing it to hand or sane or band, etc. Speed is part of the game, so it may take young players a bit to get comfortable. Such & Such is for up to four people or can be played in teams. The game's tag line is "the answers to the game come in twos," so players build pairs of things that go together: peanut butter and jelly, guilt and innocence, moon and stars, etc. It's about "clever pairings and witty competition." Ticket to Ride is a good, old-fashioned board game. Each player is trying to build a cross-country railway route by making city-to-city connections from one coast to the other. There are lots of facets to the game, including geography and strategy. There are individualized versions for several continents. These games combine fun and literacy concepts on many levels, not just letters. They require creativity, memory, problem solving, and even strategy. With the exception of Ticket to Ride, they are all also very economical investments. Most of these games are good for kids who are in second through fourth grade. Next week I'll offer some game suggestions for preschoolers and kindergartners. Summer's not over yet ... let the games go on! It's your move. What are your favorite games to play as a family? The hyperlinks and images take you to Amazon.com. The Reading Tub may earn income from purchases made through those links.